Gov. 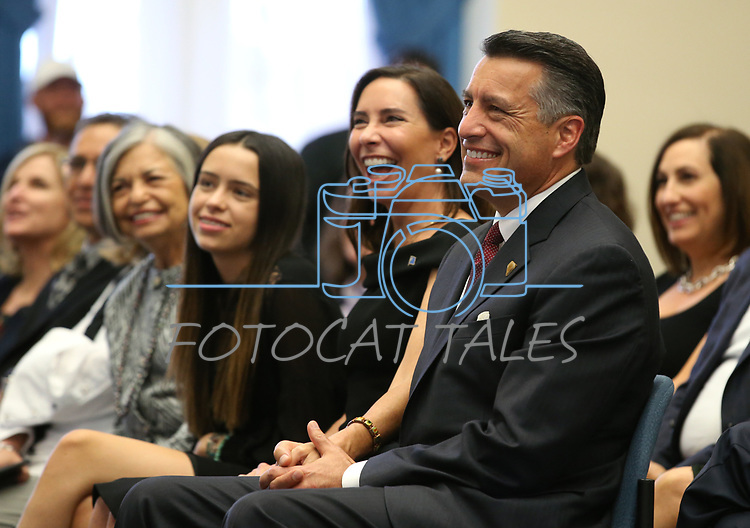 Brian Sandoval unveils his official portrait during a ceremony at the Capitol in Carson City, Nev., on Thursday, Oct. 25, 2018. His daughter Marisa, 14, and his wife Lauralyn were among the family and friends on hand for the ceremony.